The Other Day, I was in the car on the way to work, and I was listening to NPR. They were talking about Jeb Bush, a person I haven't thought too much about, if I'm honest. For Instance, I had no idea he'd met his wife in Mexico, and I didn't know he was so involved with the Latin Community in Miami. Clearly, it was an interesting story. 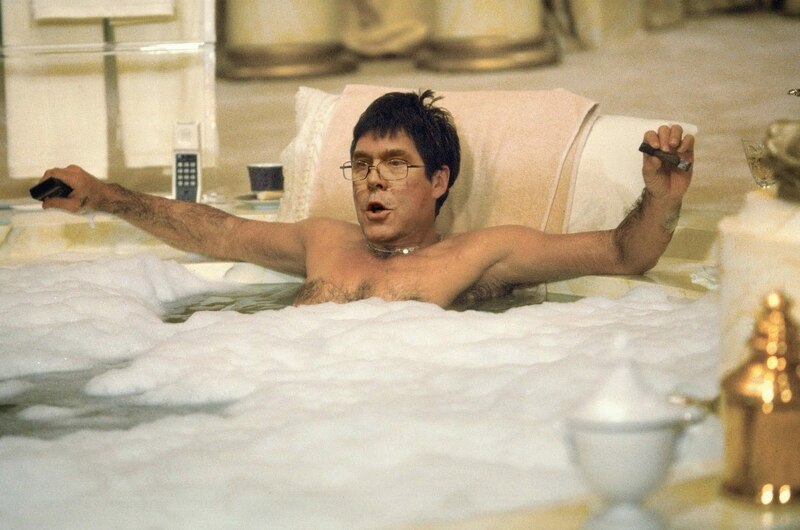 So, I decided that in this time without my computer, I'd make a Photoshoppery of Jeb Bush. We've already done one of Hillary Clinton, so I thick this is necessary to keep it neutral. If I had to guess right now, I think these will be the two candidates in the general election. 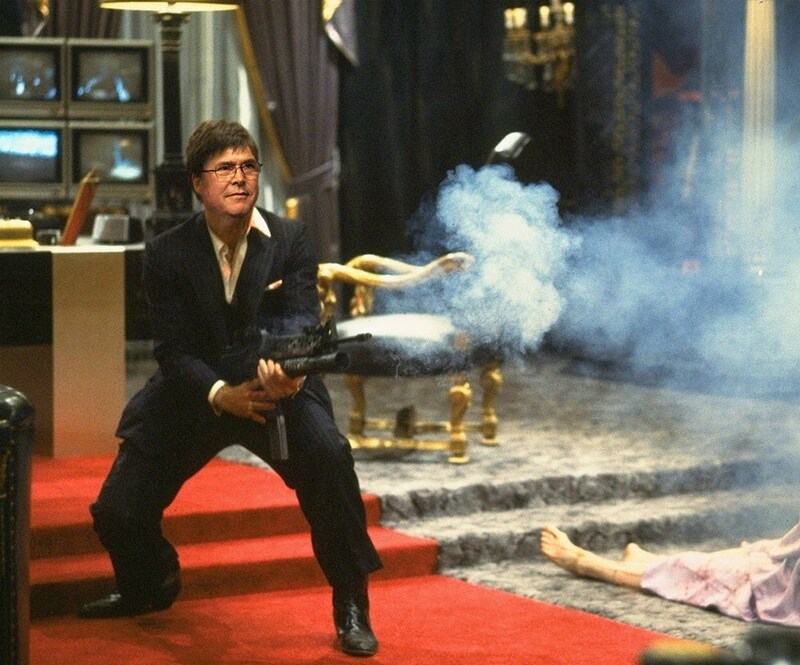 So, now that I know all about Jeb Bush's love for Miami, I decided to make a Photoshop post where the theme was Miami. 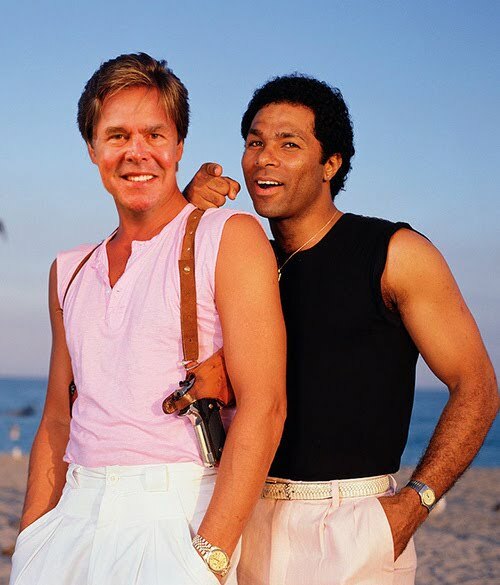 Above, you'll see a publicity shot from when Jeb starred in Miami Vice. 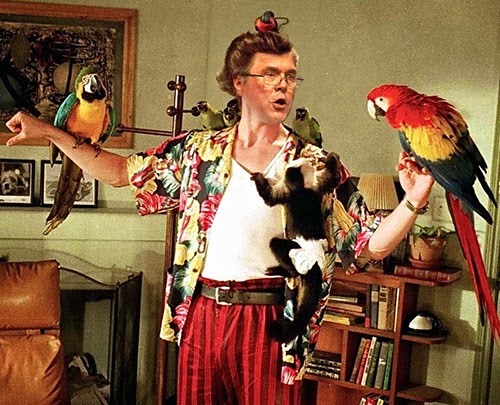 You may not know this, but Bush was also briefly a pet detective. After a long day on the campaign trail, though, Jeb likes to relax in a nice Scarface bubble bath. Don't we all? Check back tomorrow for more ridiculous Photoshoppery. Soon I will have my computer back, but at this point, I can't promise I'll stop the photoshopping.